Nearly 250 Hull men died in the First World War serving with the Royal Navy. 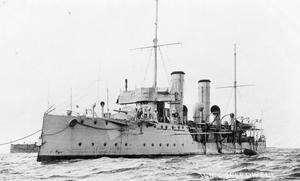 Eleven men sank with HMS Good Hope, on the 1st November 1914. Ten died when HMS 'Bulwark', mysteriously exploded in the River Medway, on the 26th November 1914. Fifty Eight Hull men died at the Battle of Jutland on the 31st May 1916, including 24 who sank on HMS 'Queen Mary' and eight on HMS 'Black Prince'. Another eleven Hull men were lost on HMS 'Vanguard' when it spontaneously exploded, at the Scapa Flow Port, on 9th July 1917. The destruction of HMS 'Vanguard', remains one of the most catastrophic accidental disasters. She sank almost instantly, killing an estimated 804 men. There were only two survivors. Many other Hull men served in local ships for the Royal Navy Reserve service. Here are some of them. 'COMMANDER FULLERTON' was lost on 12th December 1917, trying to protect a convoy in the North Sea. 'EROS' was mined in the North Sea on the 8th June 1918. 7 lives, lost including Skipper. HMT 'EMLEY 123' sunk in the Firth of Forth, on 28th April 1918, with the loss of 8 crew. 'INDUSTRIA', was built by Cook, Welton and Gemmell Ltd, Hull, 1887. It was sunk in the North Sea, on 21st March 1917, with the loss of nine lives.